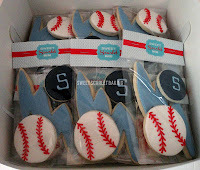 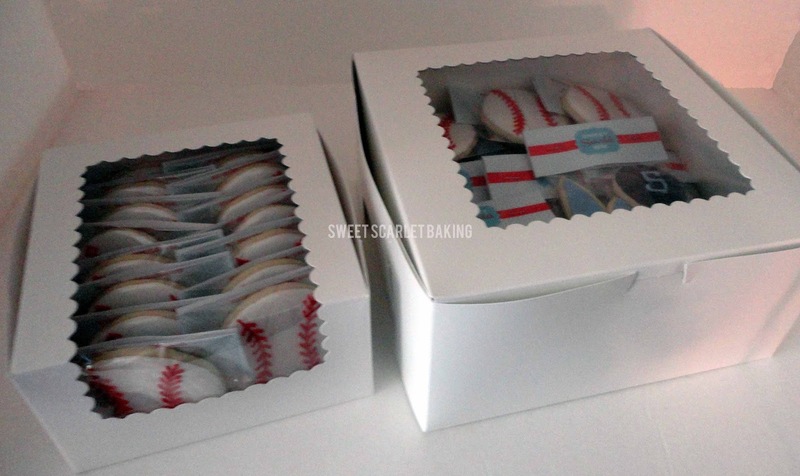 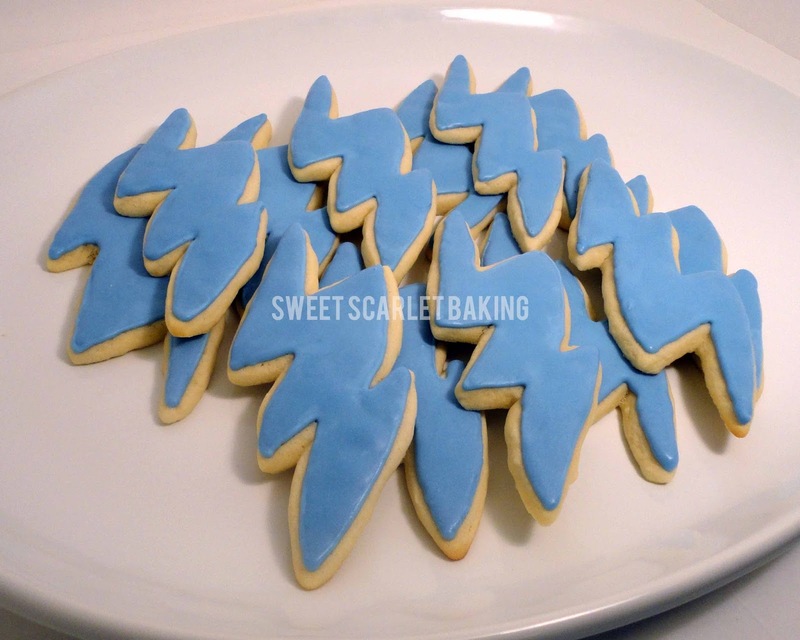 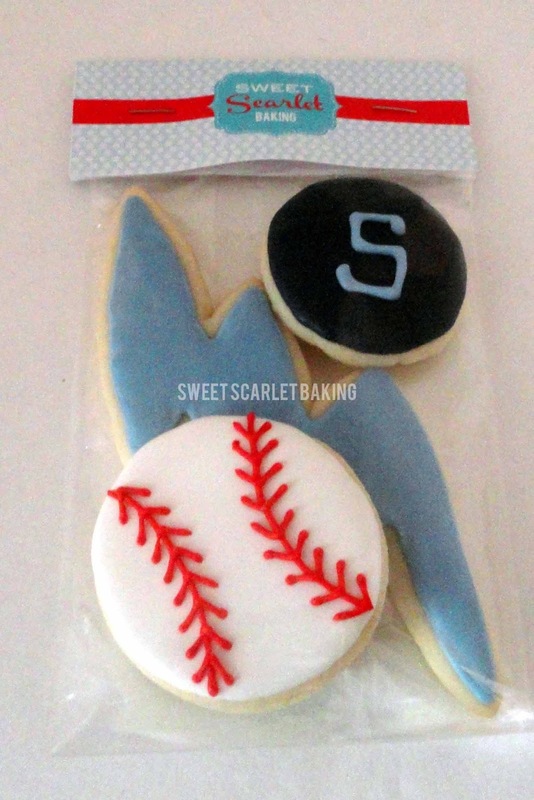 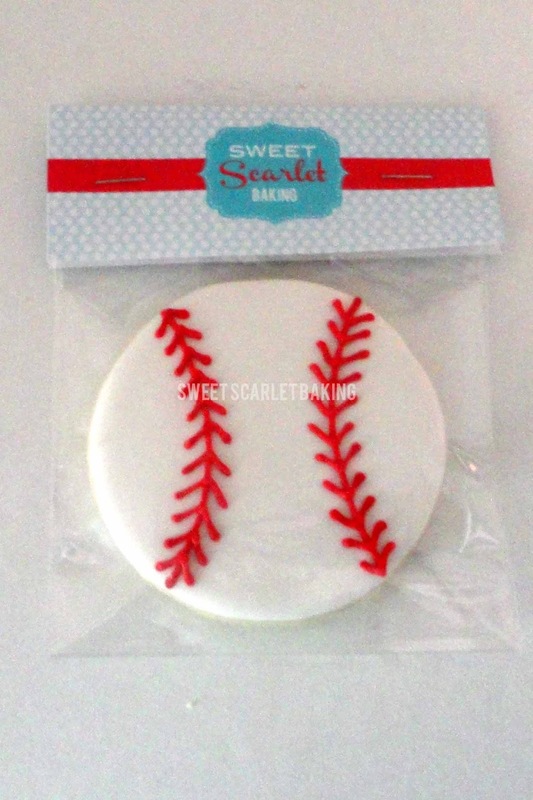 Sweet Scarlet Baking: Take Me Out to the Ballgame! My boys love baseball! 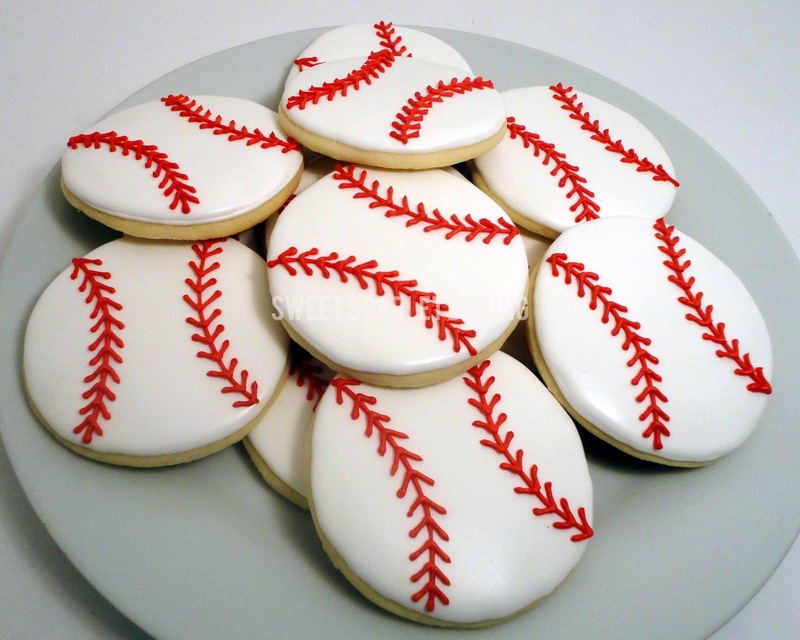 Especially my oldest. 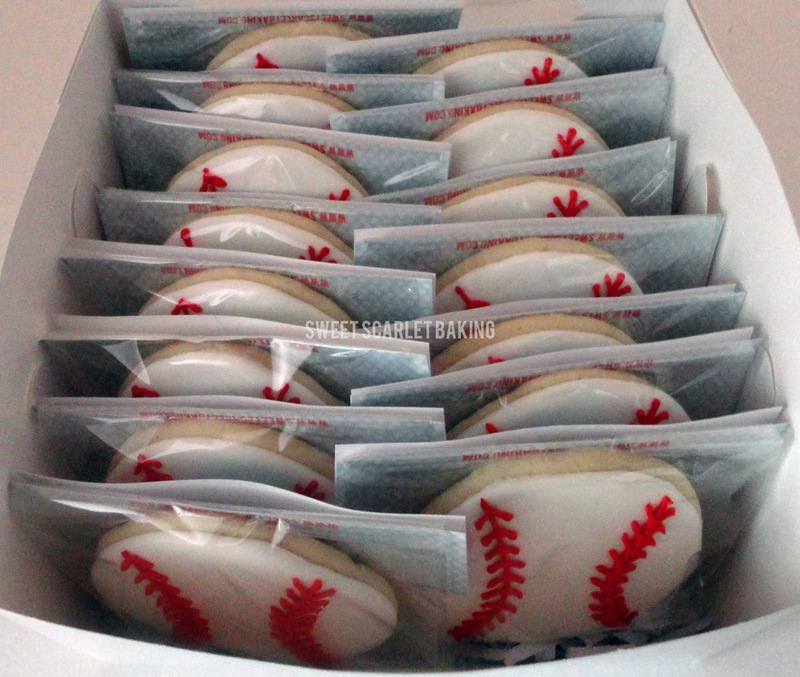 The end of the spring baseball season was drawing near so, I thought that it would be fun to make some decorated sugar cookies for my boys' teams. for the players to enjoy after the game. 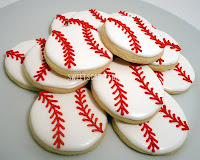 My oldest son has been on the same team for four years and had a tournament all weekend so, I decided to make these boys something a little more special. 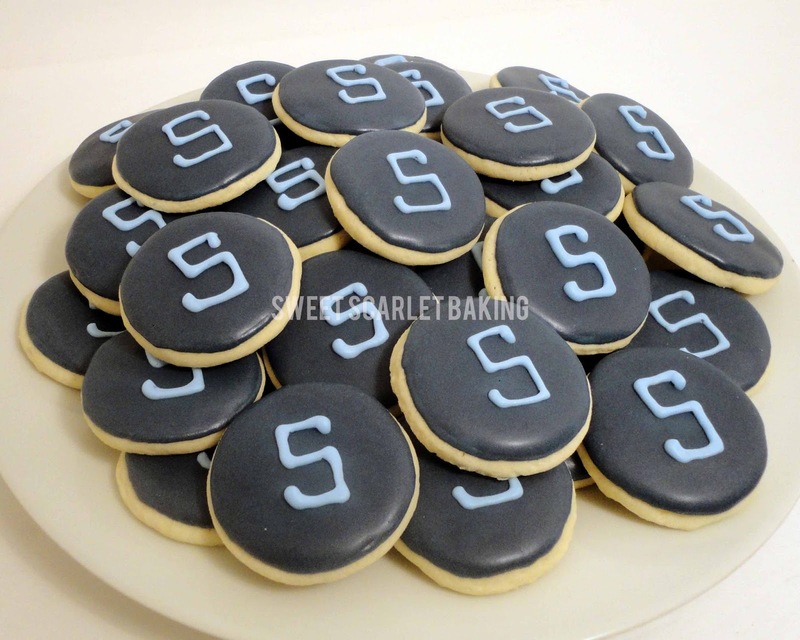 Also, the parents had been begging me for samples, so this was the perfect opportunity to give them a little taste. 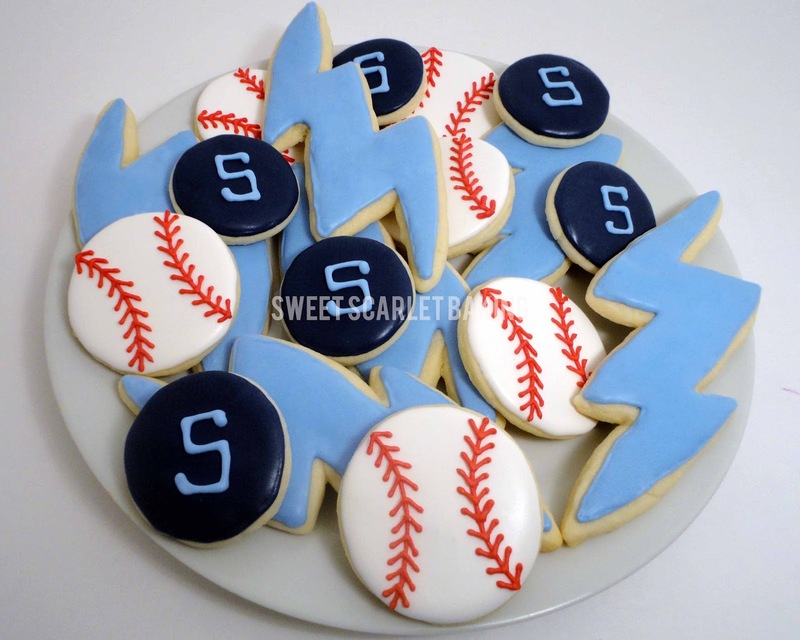 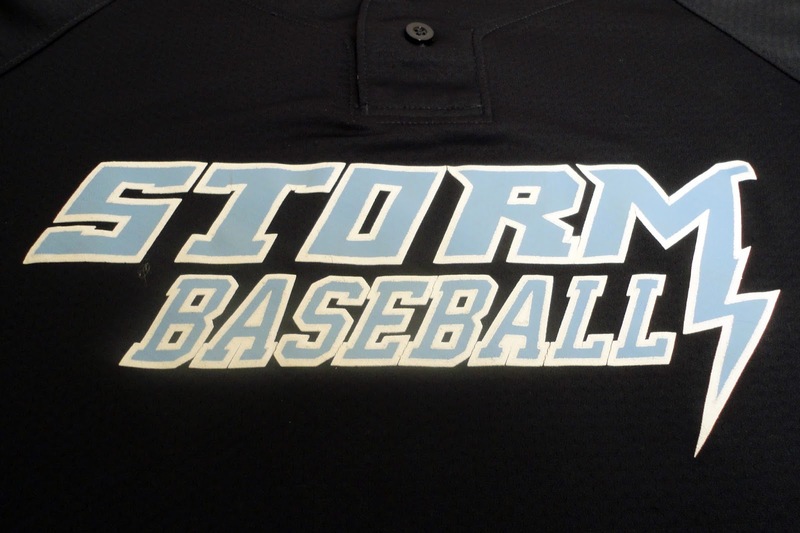 lightning bolts and 2.5" baseballs. I also made 8 dozen cookie bites for the grandparents, parents and siblings to enjoy. 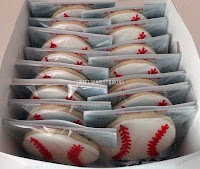 I decided to add a cookie bite to each of the boy's favor bags, as well. It was so fun to treat my boys and their friends!